We run a small business without a dedicated IT department, but try to use the latest technology with our server and remote communication. After jumping between a variety of support vendors in the area, we began using TechEase in 2005. We have been very pleased with their almost immediate response to any and all of our requests, from general questions to technical emergencies. We especially appreciate the remote access they provide. When we allow them access to our server from their office, they are able to download patches and make adjustments in actual work time, without having to sit in our office and bill us for the time it takes to sit and wait for the downloading of programs and updates (which can add up quickly). They are patient with my questions and willing to explain what they are doing and why, without overloading me with complicated jargon. Their fees are reasonable. I am happy to recommend their services to anyone in need of a quick, responsive, competent and fair IT partner. 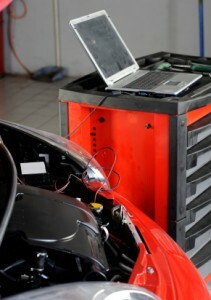 We have extensive experience with CCC, Mitchell and other car body and repair shop management software. Our ability to troubleshoot problems quickly and setup systems and networks in the manner which has worked for our clients well in the past makes us the industry leader in Santa Barbara. With clients such as Diamond Finish Auto Body, Prestigious Auto Body, Superior Collision Repair, Village Automotive Repair, we can bring our experience to your situation to find the quickest lasting resolutions.